That all sounds like a wonderful divine experience of Freyja in dreams and visions for sure. Any Goddess connected with cats is fine with me (high priest coven of the catta). The Goddess always rules over the Gods. The throne that a god or king may be allowed to sit upon IS the Goddess, as in the fact that the hieroglyph for Isis is a throne, and she allows Osiris to sit upon for awhile until his replacement is found. You know something, I had a weird vision several weeks before this visit from Freyja. I had this vision that I was looking out from a window and saw three pyramids. I had this feeling that I had been reached out and touched by Bast – but that was the only time. Then, along comes Freyja with Her cats…Good stuff! “The throne that a god or king may be allowed to sit upon IS the Goddess…” – this reminds me of the Goddesses of sovereignty (i.e. 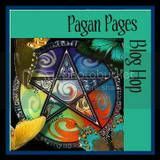 Epona, Rhiannon, Lady of the Lake, Arianrhod, Aine, Macha, The Morrígan, etc.) who bestow kings their power to be king and to have reign over the lands, which is the body of the Earth Mother. Hah, Bastet is the totem of our coven. And yes we all, whether fools or kings, come from the lap of the Great Mother. I know people do not like to mix pantheons, but truth be the more i study and learn and experience they are all faces of the same primal God/ess. Blessings. Sweet Lady She is, but also she is said to have the first pick of the fallen warriors on the field of battle, and She is a Lady of magic. Sounds kinda familiar, actually. This is so wonderful. Thank you for sharing this. You are so blessed Daughter RavynStar! This is all so very exciting!! Freyja’s presence is a blissful feeling, isn’t it? She is so bright, fresh & light! I have missed your musings & thank you for sharing. PS: Your altar is lovely & I am sure she appreciates it. She will love the symbolism in everything you picked! Thanks Tina! Yes – blissful and loving indeed! As you’ve told me before, She is an excellent healer – I really feel so blessed to have Her in my life 🙂 Love and blessings to you my friend! 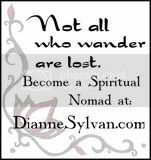 Thanks for sharing your inner life’s manifestation in the outer world. 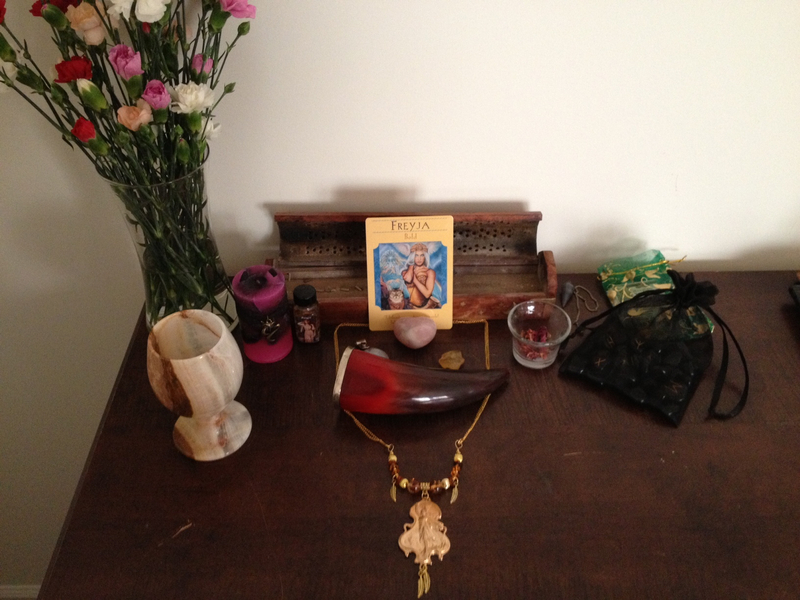 Presenting your altar in it’s evolving state is much appreciated and seen as an inspirational gesture for me. Be well. In Swedish archaeology it is widely accepted that red garnet was Freyas stone. Whenever jewelry with red garnet is found it is assumed to be connected to Freya. Just a tip for your beautiful altar.